The TimeformUS Pace Projector indicates that this race will be run at a moderate pace that should favor horses who are projected to be on or near the early lead. This bodes very well for 9/5 morning line favorite Strapping Groom and the improving three-year-old Clearly Now, who is a far more generous 6/1 morning line price. It also should help the chances of Big Screen, who is 4/1 on the morning line. 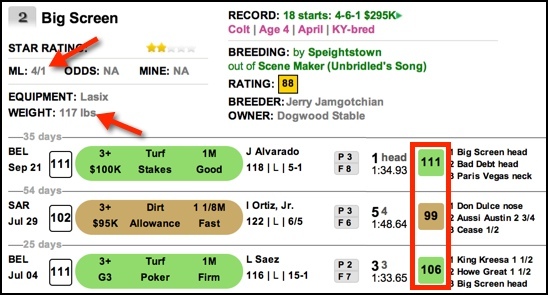 Not only do these three horses have an advantage based on the expected pace dynamics, but they also are the three horses in the field who own the best recent speed figures. One wrinkle to the pace dynamics is that Clearly Now is adding blinkers for the first time, and they may spark him to show improved early speed, which would put him closer to Strapping Groom early. The chances of Big Screen securing a perfect stalking trip are very good, and he has consistently run speed figures that make him a major contender today. Due to the handicap conditions of the Bold Ruler, Big Screen also gets a five pound weight concession from Strapping Groom. Indeed, Big Screen, a four-year-old, will be carrying less weight than the three-year-old Forty Tales and the same weight as the three-year-old Clearly Now. All signs point to Big Screen as the value of the Bold Ruler. Betting Strategy: Win bet on Big Screen. 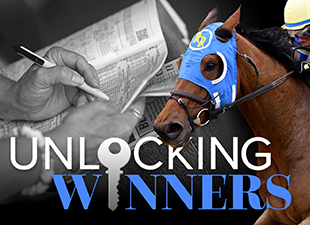 Box him in an exacta key with Strapping Groom and Clearly Now.